We live in a society where poverty and desperation are everywhere. From the young man begging next to Bristol Bus Station (nice lad, always says 'good morning'), to the child, enviously eyeing his friend's new tablet, phone, jacket, trainers, whatever. This is the truth of Britain today. It's horrible, but it is something we have had to come to terms with. As a nation we have coped, pulled together, made do and mended as only Britain can. We come together on Facebook, to share bargains and coupons we've found, we come together in life to support foodbanks, do our bit for charities and organise clothes-swapping and other similar events to share what we do have (if you are not doing any of this, try it, it's fun!). The British nation are a proud people. I don't care what the television will have us believe, I know that the majority of people want to work, they want to feed their families and they want their children to have the best of everything. That comes with the job description, as soon as your children arrive on this earth, your instinct is to provide for them. Unfortunately, in this day and age, that doesn't just mean food, warmth and clothing, it means not letting them suffer the social deprevation and exclusion that comes from being surrounded by toys and 'cool' clothes that are completely out of reach to them. It's not about spoiling or over-indulging, children can be cruel. No one knows why, but it's really not unusual for a youngster to be tormented by their peers for the state of their clothes, or the absence of whatever 'must-have' gadget is currently topping the pester-power charts. So what do our major retailers do to support our families, during their struggles? Don't get me wrong, I understand they are businesses and not charities, but surely a little basic understanding of the economic climate would go a long way? For example, how about not whipping the general public into a frenzy of hysteria with the promise of insanely cheap products, 'just in time for Christmas'? How about not having one or two 'loss leaders', intended to draw people in, knowing the vast majority of those people will walk away disappointed? 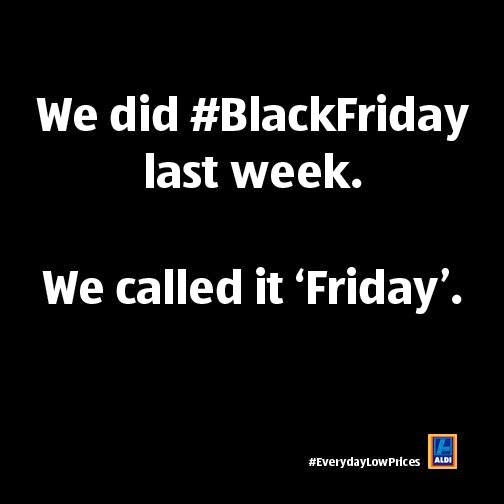 Black Friday is the absolute worst example of this kind of marketing. I have been appalled by some of the scenes that have emerged from today's major retailers hosting Black Friday events. There are 'Black Friday Fight' type videos all over the internet and it is very easy to judge the individuals involved and, yes, perhaps a little restraint would go a long way. However, let us please remember two things. Firstly, any salesperson will tell you that 'frenzy selling' is a very effective marketing tool, and forms the basis of some of our most lucrative selling stages; auctions, direct selling, Amazon Daily Deals and, of course, eBay. Secondly, never underestimate the power of emotional blackmail at Christmas time. It is the backbone of many, many successful charity campaigns and rightly so. It's a season for reflection and taking stock, for spreading good cheer and happiness. Here's where it all goes sour though. When major retailers, who turn over preposterously high profits, year in, year out, hit upon an idea to boost their already swelling coffers. I suppose, in a way, who can blame them. The advertising pretty much runs itself, as the 'Black Friday' theme has been around in this country for a few years, so the hopeful, and the desperate, go searching for it almost entirely unprompted. All the retailer has to do, is dig out a few hard to sell items, last year's stock, damaged boxes, etc, sit back and watch the hysteria build as fast as their profits will soar. Why? Because the purpose of the 'loss leader' is to simply tempt the consumer into the building. Once there, with the frenzy atmosphere, the consumer won't want to walk away empty handed, so, in the likely event the product advertised is not available, they will buy something else. It isn't nearly as much of a bargain, but avoids the feeling of disappointment or failure. 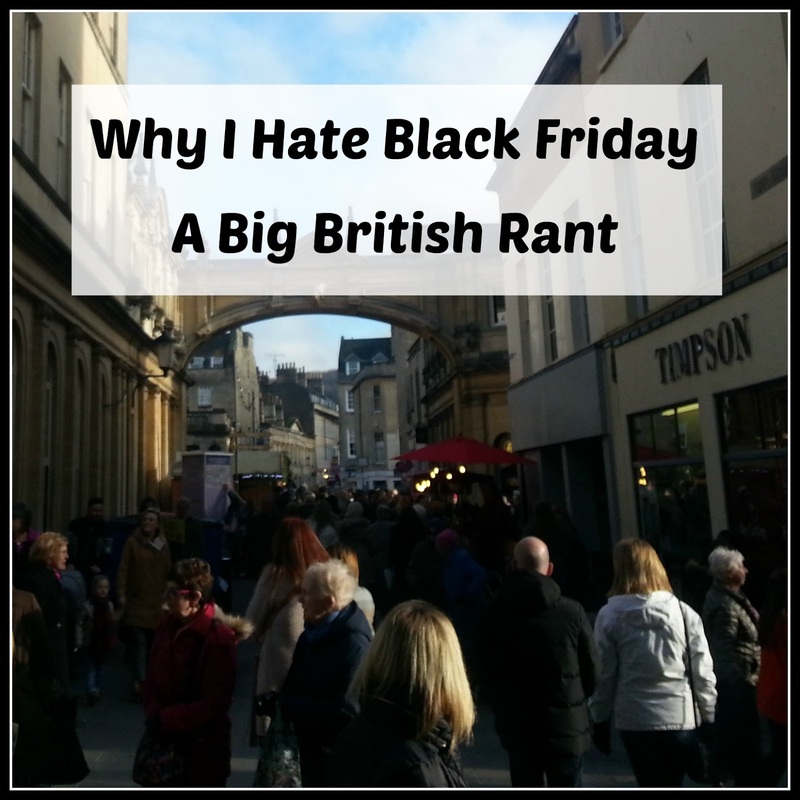 What angers me most about Black Friday, is the timing. The custom emerged in America, where, much like our January, or Boxing Day, sales, it followed a popular holiday. We don't have Thanksgiving over here, which makes it kind of a sham anyway, but as Thanksgiving lands near the end of November, it presented an opportunity too good for some retailers to pass up, and this is where a knew depth was plumbed by our ever-opportunist retail industry; 'It's time to shop for Christmas' (I'm talking to you, Asda.). Add the emotion of a deprived family facing a sparse Christmas for their excited brood and the promise of an almost inconcievable bargain and you face carnage of anarchic proportions. It's dangerous, it's contentious and it's irresponsible. If any retailer thought that allowing hundreds of people into a shop to buy half a dozen vastly reduced items was a good idea, they need to seriously review their thinking. There were clashes, resulting in police attendance and closures all over the country, as well as scuffles and injuries as people got caught up in the fever. How dare these retailers deliberately cause this chaos and put a strain on our, already over-stretched, police services? How can anyone, particularly those whose job it is to organise these events, not realise that two security guards are not going to be able to adequately control hundreds of consumers vying for the same product? It is immoral to use the cash-strapped public in this way and the retailers that opted to be part of this appalling state of affairs should be ashamed of themselves. Do we really need to stoop to this? Can we not rely on honest prices and clever marketing to bring in custom? Ask yourselves, retailers, is this what you want to see in your stores? Desperation, tears, aggression? People getting hurt? If this kind of carnage was happening in my store, I certainly wouldn't want my name above the door. I know there were some British institutions that didn't lower themselves to this level. The most prominent of these were Selfridges, Harrods and Harvey Nichols, but I am going to leave the last word on this subject to Aldi. This is what we should be supporting, good honest prices. Disclaimer: I was not paid or sponsored by Aldi, I just really liked their attitude! Originally published November 2014, but still painfully relevant today! I hate the hype. Online it's okay, nobody is getting crushed or getting in a fight with a stranger. Either it's in stock or its not - no drama, no panic, no queue. I hate the instore drama I've seen on the news today. Looked like looting and rioting not shopping. Ps, well played there Aldi!!! It's been horrible to watch, hopefully next year more stores will follow Aldi's example! Great post Lucy I too was disgusted why i was watching live on the tv yesterday morning these stores just won't learn and unfortunately it will be the same again year after yea. Yes, I think you're right. It's a shame people can't afford to vote with their feet! I totally agree, I don't want to see aggression, tears and desperation when shopping. I love your comment - "can we not rely on honest prices and clever marketing to bring in custom" well said! Thank you, let's hope some more shops take notice next year!